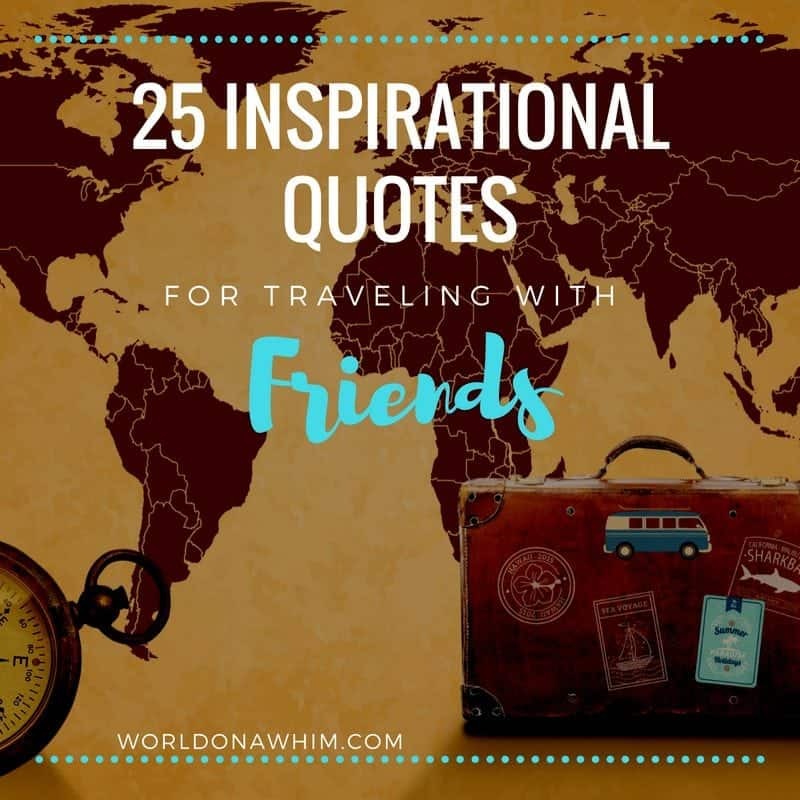 Whether you are excitedly awaiting your next trip with your best friends, or you are looking for that perfect Instagram caption for your summer vacations photos, travel quotes about friends always help to inspire. 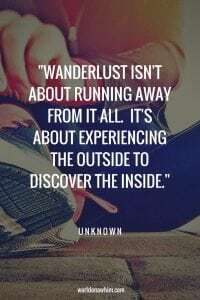 That is why I created a curated list of some of the most inspirational travel quotes for friends. 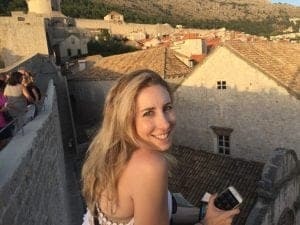 While many authors are unknown, some of the greats like Mark Twain and Ernest Hemingway are represented as well as current travel content creators like Kristen Sarah from Hopscotch the Globe. 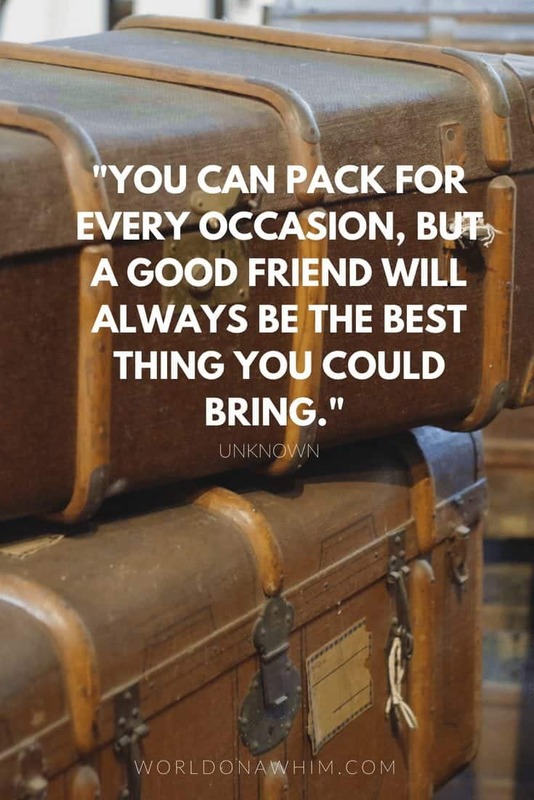 Before we fully get into our travel with friends quotes, let us talk about what it is actually like to go on a trip with friends. 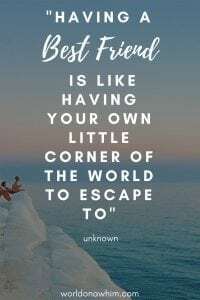 While I am a huge proponent of traveling solo –you have the highest highs and the lowest lows — I can’t even begin to explain the excited feeling I get when I meet up with friends after that time alone. Drinking butterbeer at the Warner Bros. Studio tour or hiking down a large gorge by yourself is always more fun with a friend. 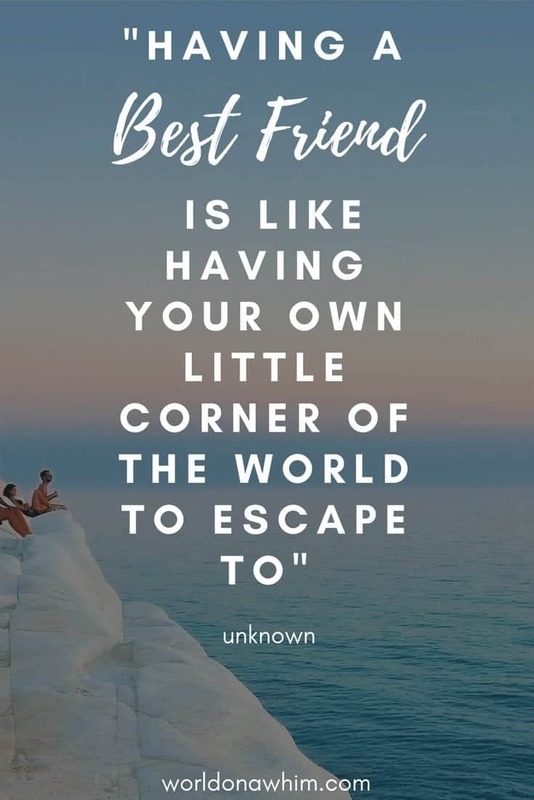 Sometimes those friends may not even be that when you start your trip! One of the most fun vacations I had was a trip to Greece with a very close friend at the time and two girls from Spain who I had never met before. It was incredible getting to know new people and sharing those vacation memories forever. We loved discovering differences in cultures and I appreciated that they could drive manual 🙂 On a different solo trip, I was sitting by the bank of the Venice canals and saw a couple of girls nearby chatting. I boldly went up to them, said hello, and we ended up completely clicking. We traveled from Venice to Florence together and then met up in Barcelona a few weeks later. It is not always easy to travel with someone, but you will learn pretty quick into the trip if you are well-suited to do so. Twos, threes, and fours each come with their own set of pros and cons. With two, it is a more intimate group with less decision makers. If you don’t want to do the same activity, it is easy to each do your own thing and then meet back up after. However, you may get sick of each other more easily than with a larger group, so it may behoove you to stay at a hostel where you can meet new people if you are traveling for awhile. Threes are always tricky because there is a balance issue. One many feel left out by the other two. In order to mitigate this problem, be honest with yourself…do you like both friends equally? Make sure you openly discuss plans beforehand so that everyone is clear on the agenda. With foursomes, there are going to be alottttt of different opinions circling. 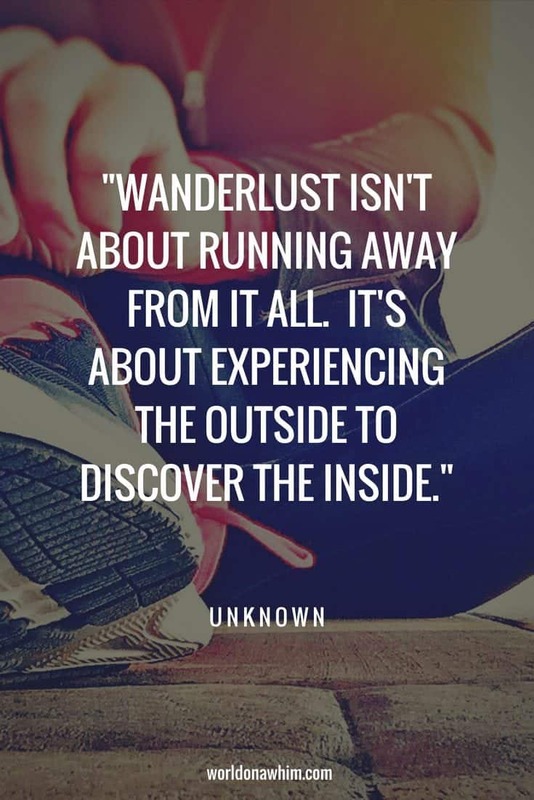 It might make sense to have a different person take charge each day or a different person plan each city so that everyone can get in what they want to do and see on the trip. It is also much easier to split into twos, if the group is divided on what they wish to do on the trip. 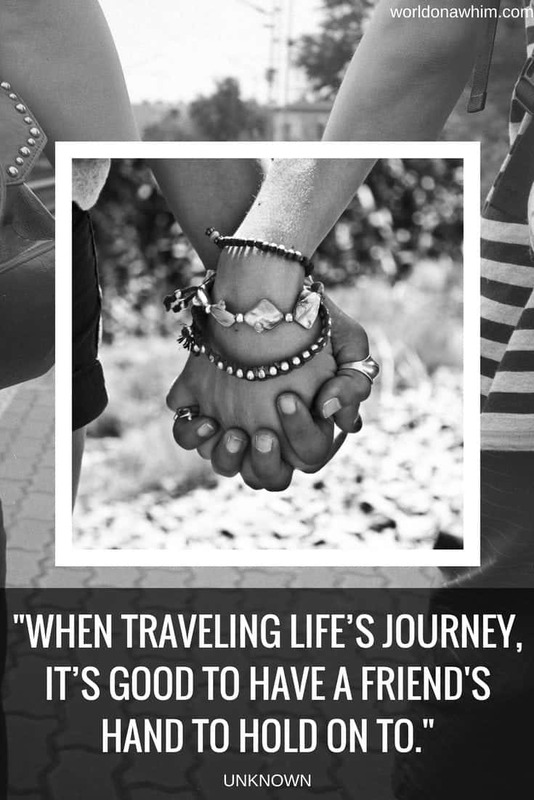 Let’s get on with these travel with friends quotes now shall we? PSA: If you ever think that it is a good idea to pack nine friends into one hotel room to save money during a large festival, then read this, because you may just not be allowed in that hotel room for the entire duration of your trip! 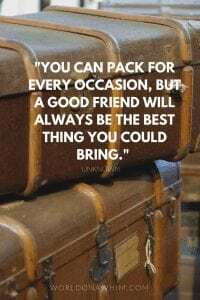 All of these travel with friends quotes reminded me of some of my most memorable trips with friends and the utter craziness that ensued. This “Travel With Friends Quotes” post contains affiliate links. That means I receive a small commission if you make a purchase after clicking the link.